Kole Tonics choose Lakewood Ranch Web Designer Social Operator. 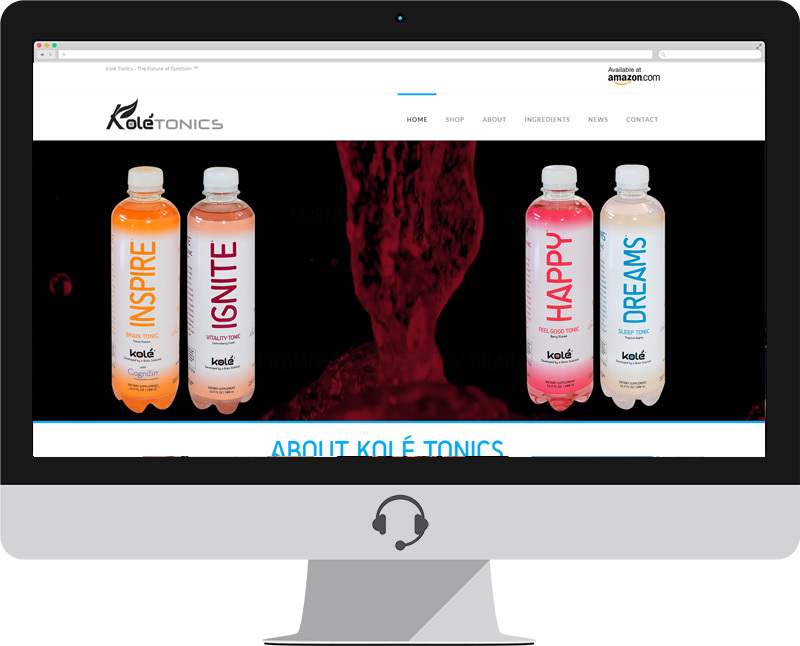 Kolé Tonics are the first innovation of new beverage Company, Kolé Life Foods. Each Kolé Tonic is carefully crafted with scientifically-backed ingredients to provide an inspired functional benefit. Doctor Bankole Johnson, an award-winning neuroscientist and founder of the Company, formulated each Tonic with amino acids, vitamins, minerals, and herbal ingredients, added loads of great taste (but no calories) – making Kolé Tonics the future of function. When asked why he developed Kolé, Professor Johnson states, “One fine day, I was sent to the grocery store by my wife to purchase some items. I happened to pass by the beverage counters, and was overwhelmed by the large number of products. As I started to review what was on offer, two ideas came into my mind. One, looking at the formulations of the so called “functional” drinks, most of the ingredients seemed to me like that they would be little better than a placebo. I believed that with my knowledge of brain science, I could certainly develop more “functional” products that would provide the consumer with a greater benefit and enjoyment. Second, it seemed that practically all the products on the shelf were there to just boost physical performance. What about brain performance I wondered? Surely, many people must be interested in getting all they can from their brains just as much as they would from their body. And, there really are no products out there for that except for those that simply provide large amounts of caffeine that produces a temporary boost in energy followed by the inevitable crash some hours later. Others contained ingredients that would not even enter the brain let alone provide any functional effect. Given my two thoughts, the platform was, therefore, set for me to do work to bring to market truly functional brain drinks targeted at specific types of feelings”.